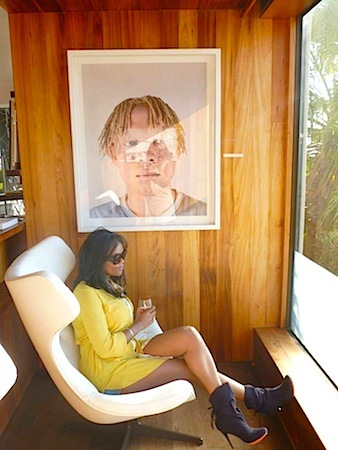 THANDIE KUPE is one of the coolest, most fashionable women in Cape Town and I just love her infectious energy and her zest for life and embracing new experiences. A successful banker and ambassador for Decleor Paris, Thandie regularly attends galas and social events, but nothing pleases her more than a relaxing weekend spent at one of her favorite retreats, so I asked Thandie to spill the details on her fabulous weekend getaway and other city secrets for Cape Town. 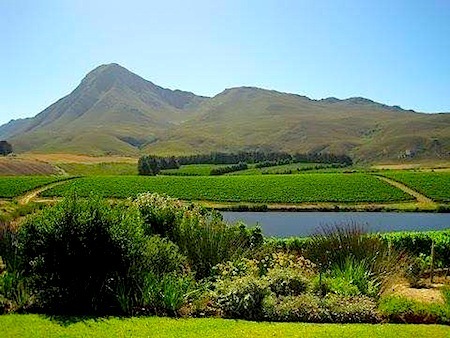 Visit one of the five cape wine regions–Cape Town is one of the best wine regions in the world and we are spoiled with numerous beautiful wine estates across different wine regions, each with its own unique charm. My favorite wine towns are Robertson, Franschhoek and Stellenbosch. A trip to Cape Point is one of my favorite road trips for my family and friends visiting Cape Town. There are various great towns to stop and explore while driving along the coast around the Cape Peninsula. A hike on Lion’s Head is my favorite activity on a Saturday or Sunday morning. The hiking route is fairly easy and allows 360 degree views of our incredible city. Clifton 4th Beach is where the sexiest people in Cape Town congregate on a perfect beach day. Cape Town is notoriously windy, but Clifton 4th is sheltered from the winds. It’s also a great spot for a full moon picnic in the evening. There are several equestrian events held in Cape Town attended by celebrities and society, but my favorite is Queen’s Plate where guests are requested to dress in a blue and white dress code. 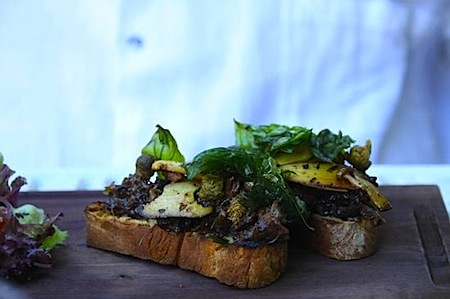 Kloof Street House has great food and the perfect vibe for a girl’s night out. Madame Zingara’s dinner theater show is a traveling circus that was founded in Cape Town. The always entertaining show features performers from around the world. Enjoying fresh fish from Kalk Bay and Hout Bay Harbour is one of the great pleasures of living in Cape Town. HQ is a concept steak restaurant that only serves one menu and offers one of the best steaks in town. Ellerman House is a luxurious private hotel in one of the most exclusive neighborhoods in Cape Town. The Radisson Blu has stylish sea-facing suites with amazing service and is close proximity to the city. Bushman’s Kloof is a luxurious wellness and nature resort three hours from Cape Town and is my favorite place to escape for a bit of R & R.
The V + A Waterfront is one of the biggest tourist attractions in the city and offers a great selection of stores and restaurants. 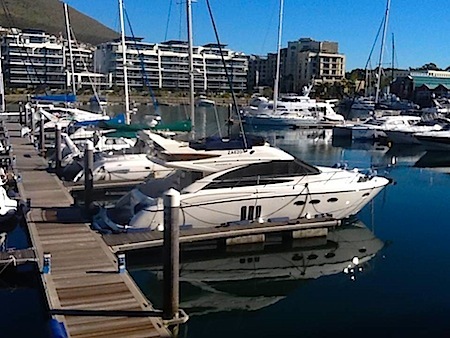 It’s also a working harbour so be sure to book yourself on one of the yacht trips while you’re down there. Long to Kloof Street is a popular and energetic street with a vast array of independent designers for clothing, African art and furniture. Photos courtesy of Thandie Kupe.